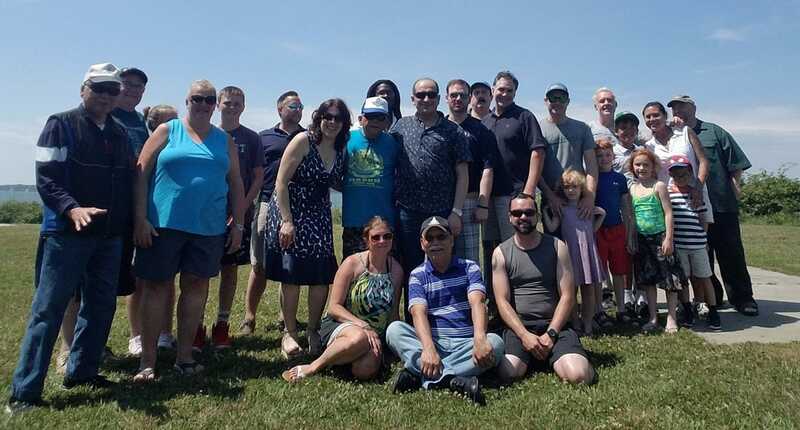 On June 30th, under a cloudless sky and surrounded by a warm breeze from the Narragansett Bay, the brothers, family and friends gathered at Carr Point off of Burma Rd. to share in a day of brotherhood and friendship. It was an excellent day as temperatures reached around 90 degrees with the smell of sunscreen and charcoal in the air. Carr Point provided an excellent location as there were plenty of picnic tables and even a covering to seek some shade. 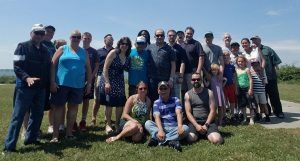 All in all, approximately 25 people attended. This included the significant others and children of our brothers and we went through 20 burgers and 32 hot dogs! Games and activities were plentiful. Thank you to everyone who participated and a special thank you to the brothers who donated time, supplies, or in 2 cases, the ability to host at this location!